to you, stay tuned and read what follows. meet the light and amaze/terrorize us ! work on movies, some of them  being worldwide famous today. Need and example ? 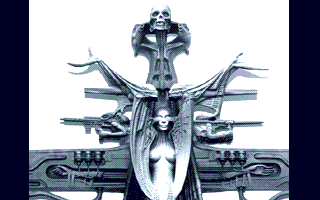 designed but unused for movies such as Dune and Batman. creatures, in other words creatures which are half biological half mechanical. happen to be this way, I am weird enough to see beauty in these paintings. postcards to your beloved ennemies ! French in my edition, therefore surely translated to your own language). restricted to English fanatics since it's an imported book. 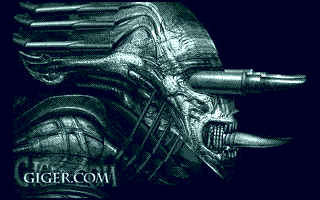 get connected to learn more about Giger... online ! suggestion will be welcome !). Insurrection section which tells you that The Twentieth Century "accidentally"
walked through ! Now, make your own choices. useful piece of information for me. Email to larnac@hotmail.com and see you !